Wouldn’t it be nice if, once you found the right tenant, your work was done? Routine property inspections may be a landlord’s least favorite task. But ignoring the condition of the property — and what the tenants may be up to — is simply too risky. Everyone from police to professional property managers and landlords who have been burned by bad tenants recommend routine inspections for rental properties. In fact, judges have found landlords negligent for failing to conduct mid-lease inspections. Why are these routine inspections so important? 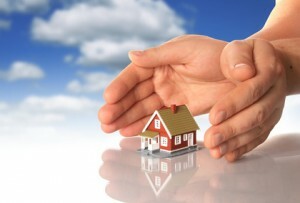 Because checking up on the property can stop crime, reduce property damage, and minimize income loss. 1. Are there signs of criminal activity? Manufacturing drugs is extremely dangerous, and many aspiring criminals don’t know how to do it right. Signs of drug manufacturer include odd smells, covered windows, uneven melting on the roof, or any signs of retooled electric or water systems. Piles of trash, including soda bottles also may be a clue. In addition to taking a look at the outside and inside of the property, networking with neighbouring property owners is an excellent way to discover problems before extensive damage robs you of your rental income. 2. Are there safety hazards? Look for items like disabled or malfunctioning smoke and carbon monoxide detectors, blocked access to windows or doors, open electrical components, shaky railings on stairs or balconies, space heaters, overloaded electrical outlets, and extension cords running under carpet or along walkways. Outdoor lighting and overgrown landscaping also are common causes of injury. Listen to tenants’ concerns regarding safety at the property. 3. Who is living in the unit? It is important to check for unauthorized occupants. These are people who are not screened, are not on the lease, and yet have full access to the property. Not only can this cause problems when it comes to enforcing the lease, but in multifamily properties, unvetted residents pose a safety risk. Be sure you know your legal limits when it comes to guests. You must follow the law, as well as the language in the lease. Don’t act until you know the proper course, but don’t look away and allow strangers to take over your property. 4. Are there any neglected repairs? Check items such as leaking faucets or toilets. Those conditions degrade quickly, and may cause serious damage. Tenants aren’t always good about contacting the landlord when things aren’t working right, largely due to the fear that the tenants will be blamed. Maintain a good relationship with tenants by thanking them when they point out something that needs your attention. Also, remind tenants they don’t need to wait for the next inspection to report problems. 5. Have you checked in with your tenant lately? Spend a little bit of time with the tenant. Find out how things are going, and whether they have any unanswered concerns. As uncomfortable as property inspections are for landlords, it may be even more awkward for tenants, who feel they are under a microscope. A property inspection need not be intimidating; it’s an opportunity to connect with the tenant and resolve any problems that may be percolating. I had never considered that inspectors have to look for signs of drug manufacturing because it can affect the integrity of the house. New buyers or renters want to know that the air quality is good and that they won’t have to deal with major repairs after a too short while. This is excellent advice for property owners to keep it in good condition, as well as maintain better trust with their tenants.